Where: Peebles in the beautiful Borders of Scotland. What’s Included: A one or two night stay for two people including a full Scottish breakfast each morning, cream tea with a glass of Prosecco as well as handmade chocolates! 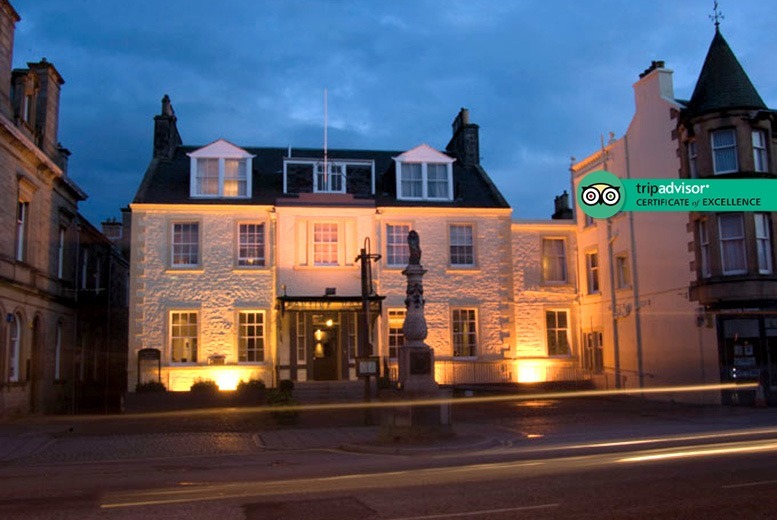 Hotel: Recently renovated, this cosy hideaway has been rated 4.5 out of 5 on TripAdvisor and awarded a Certificate of Excellence. Rooms: You’ll be staying in one of their 36 en-suite bedrooms, tastefully decorated and with high speed Wi-Fi – plus well behaved dogs are welcome for just £10 extra! Area: Located right on Peebles High Street, you’ll be close to wee shops to browse as well as the surrounding natural beauty of the Scottish Borders. Deal Bonus: Get 10% off food when you dine in their restaurant or bistro!